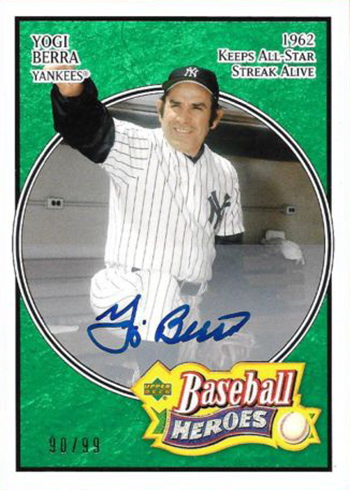 When it comes to the World Series and images that will live on forever, Yogi Berra takes center stage. 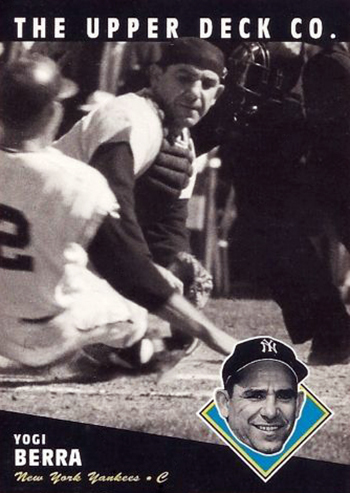 Sure Yogi was behind the plate when Cookie Lavagetto doubled off the right field wall in Ebbets Field in 1957 to not only break up Bill Bevins’ no-hit bid but also to win he game, 2-1, for the Dodgers. 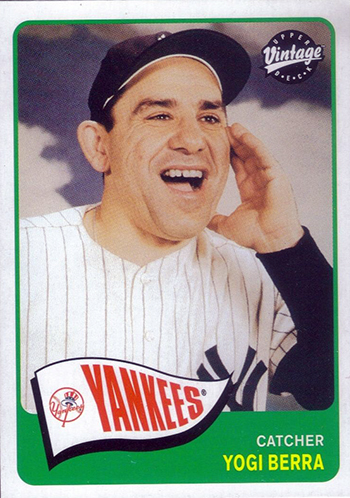 It was Yogi’s slicing fly ball that Sandy Amoros chased down to save Game 7 when the Dodgers won their one and only title in Brooklyn in 1955. 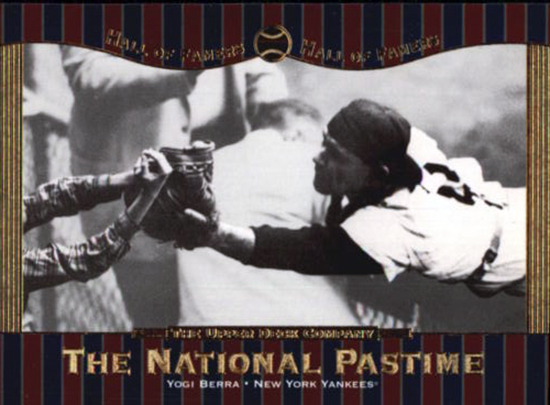 However, Yogi takes center stage for three of the most enduring World Series images. 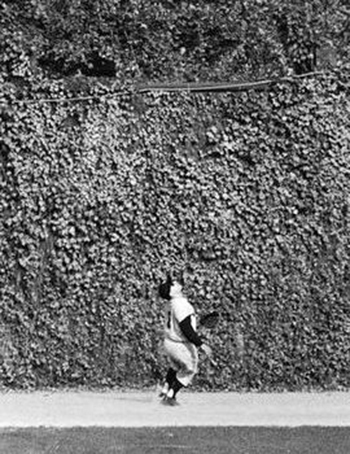 In 1960, we see Yogi out in left field turning and waiting for the carom off the wall that never came when Bill Mazeroski’s home run gave the Pirates the title with his bottom of the ninth dramatic blast in Game 7. 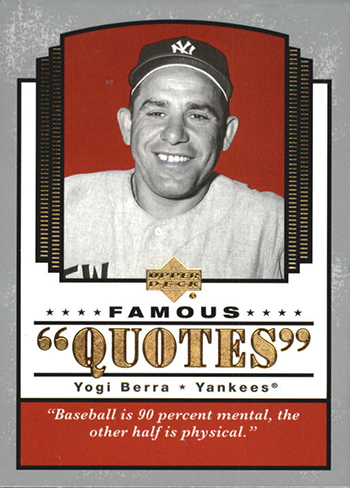 Some forget that Yogi played outfield in his early years and used what he learned there to be great with the glove behind the plate. 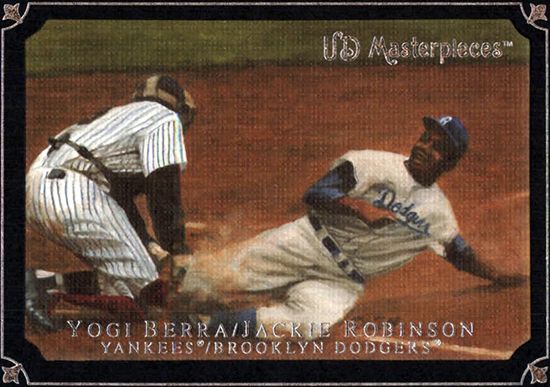 How about the 1955 Series when Jackie Robinson stole home and Yogi disagreed? The picture of him literally hopping mad in his catching gear is one for the ages. 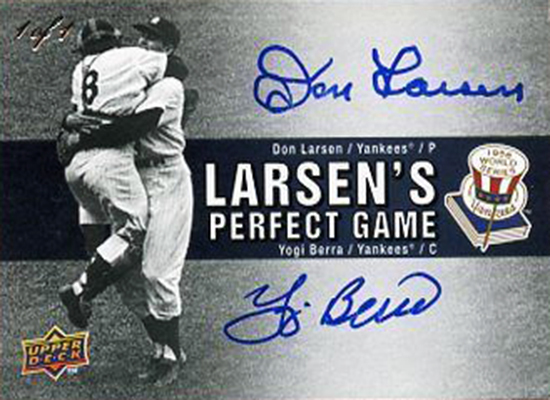 Of course, the most famous moment caught on film is Yogi leaping into the arms of Don Larsen after he hurled the one and only perfect game in Series history. Alas, it’s over Yogi. We’ll miss, but we will never forget you.